Here you see the full moon calendar with the full moon dates of 1911 and exact times and dates in an overview. 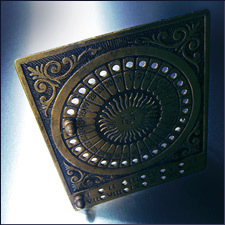 Desk calendar made of brass with plug mechanism, from the 1910s. The first full moon as of 1910 was on Tuesday, 25.01.1910.